Behind the central railing, of gilt bronze, is a little niche, which is supposed to be the only part left of the former oratory of St. Anacletus of which we have already spoken; on the floor there is a cross marking the tomb of the Apostle. On each side of the niche are mosaic portraits of St. Peter and St. Paul, after the design of Michelangelo. The mosaic portrait of Christ is very ancient and said to date from the 4th century. 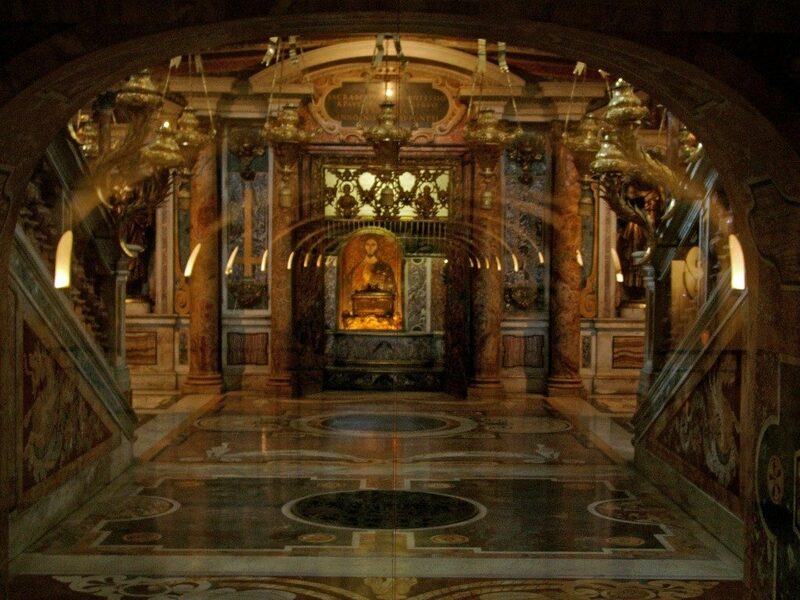 St. Peter’s Tomb – Vatican city private or group tours special entrance!!! Vatican city private or group tours special entrance!! !